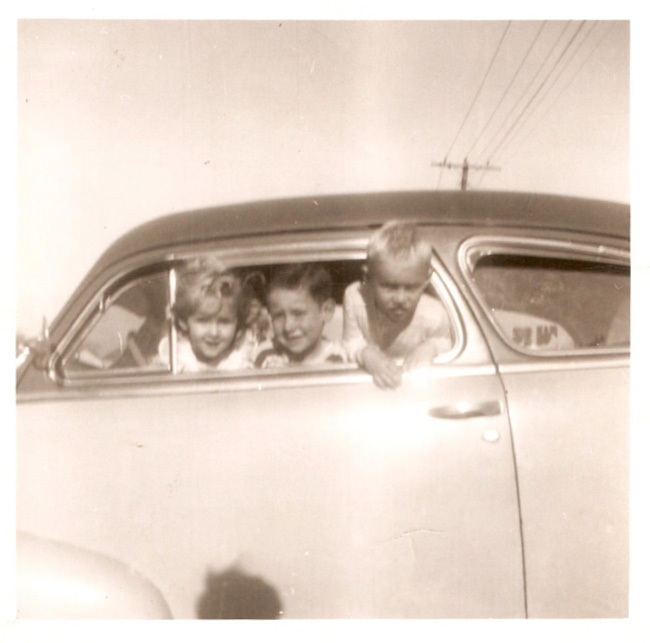 Starlett, Don and Darrell Bobbitt in our Dads first car. Many kids of my generation were HOME SCHOOLED, but not in the way you might think. Our parents grew up learning how to live during some hard times, and while raising their kids, they passed on a lot of great Lessons that we all took to heart. 4. My father taught me about LOGIC. 5. My mother taught me EVEN MORE LOGIC . 6. My mother taught me about FORESIGHT. 7. My father taught me about IRONY. 19. My mother taught me Extra Sensory Perception. Really though, now that I think about it, this old list is just a sampling of the way I and my siblings were taught about the realities of LIFE by our wonderful parents. I tried to pass these lessons to my own children. I just wonder if they will take them to heart like I have. Previous PostPrevious Take me in Pretty Woman, Take me in; said the Snake! Next PostNext Mardi Gras in Rubonia? Where the Heck is Rubonia anyway?